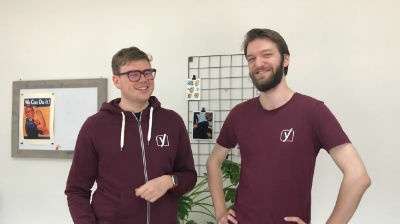 February 2, 2019 — As someone who builds WordPress websites for clients, you’ve probably learned that offering (or requiring) monthly maintenance contracts is smart business. It’s likely you’re including core software, plugin and theme updates as part of your maintenance plan, which ensures a steady income stream you can rely on and helps with your financial forecasting. But are you including website security as part of your project proposal and scope? 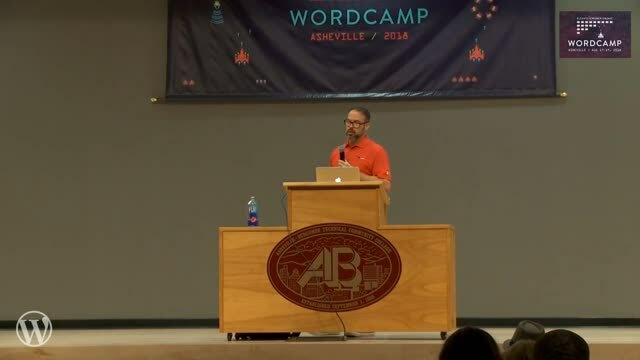 January 21, 2019 — Haven’t you wished you could ask any question to an “expert” at WordCamp? Problem is that many talks have short Q&A sessions – and while we encourage speakers to visit the Happiness Bar after the talks, it’s still difficult to ask sometimes. Also there could be someone ELSE in the room that has a great answer, or would love to bond over the subject you’re interested in. January 10, 2019 — As someone who builds WordPress websites for clients, you’ve probably learned that offering (or requiring) monthly maintenance contracts is smart business. It’s likely you’re including core software, plugin and theme updates as part of your maintenance plan, which ensures a steady income stream you can rely on and helps with your financial forecasting. But are you including website security as part of your project proposal and scope? January 8, 2019 — As someone who builds WordPress websites for clients, you’ve probably learned that offering (or requiring) monthly maintenance contracts is smart business. It’s likely you’re including core software, plugin and theme updates as part of your maintenance plan, which ensures a steady income stream you can rely on and helps with your financial forecasting. But are you including website security as part of your project proposal and scope? Adam Warner, Tim Hengeveld and Anton Timmermans: Can you tell us who you are and what you do? What excites you about Gutenberg? June 4, 2018 — As someone who builds WordPress websites for clients, you’ve probably learned that offering (or requiring) monthly maintenance contracts is smart business. It’s likely you’re including core software, plugin and theme updates as part of your maintenance plan, which ensures a steady income stream you can rely on and helps with your financial forecasting. But are you including website security as part of your project proposal and scope? The security of your clients’ websites is often not a priority or is left until the end of a project (or sale?) as an optional add-on for the client to consider after going live. The value of a strong website security posture can be difficult to explain to clients, but when put in the context of their business and possible loss of revenue, it can become an integral part of your offering that separates you from the rest. February 3, 2018 — Mindfulness – “The quality or state of being conscious or aware of something.” Security can seem intimidating and complex for many, but we shouldn’t (can’t) let that stop us from doing everything we can to secure our WordPress sites and ourselves. After all, our websites are often part of our livelihood. 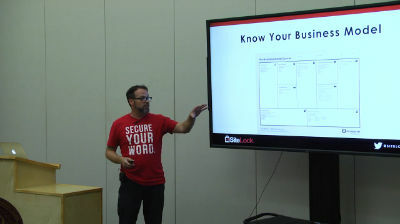 In this session Adam addresses the “big picture” of personal and website security and breaks down the fundamental tasks needed for a strong security plan online. 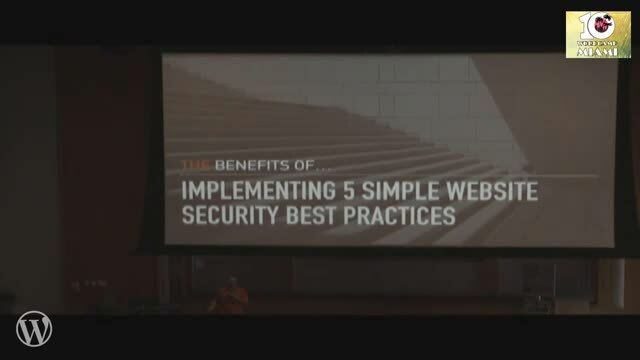 He provides an actionable checklist on what audience members can implement immediately to better secure themselves online in addition to their WordPress websites. After attending this session, audience members will have a better understanding of personal security online and how it affects website security as a whole, as well as steps they can take to mitigate risk in the future. Security can seem intimidating and complex for many, but we shouldn’t (can’t) let that stop us from doing everything we can to secure our WordPress sites and ourselves. After all, our websites are often part of our livelihood. 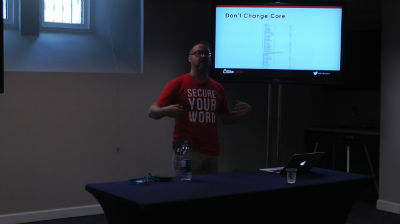 In this session Adam addresses the “big picture” of personal and website security and breaks down the fundamental tasks needed for a strong security plan online. He provides an actionable checklist on what audience members can implement immediately to better secure themselves online in addition to their WordPress websites. 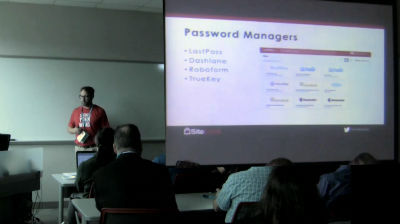 After attending this session, audience members will have a better understanding of personal security online and how it affects website security as a whole, as well as steps they can take to mitigate risk in the future. October 10, 2017 — Mindfulness: “The quality or state of being conscious or aware of something.” Security can seem intimidating and complex for many, but we shouldn’t (can’t) let that stop us from doing everything possible to secure our WordPress sites and ourselves. After all, our websites are often part of our livelihood. 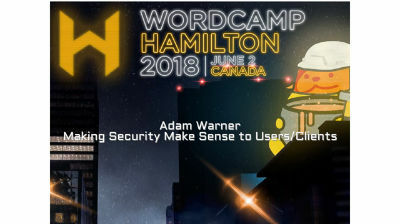 In this session Adam Warner addresses the “big picture” of personal and website security and breaks down the fundamental tasks needed for a strong security plan online. He provides an actionable checklist on what audience members can implement immediately to better secure themselves online in addition to their WordPress websites. June 20, 2017 — Adam W. Warner first discovered WordPress in 2005 and has since founded several WordPress-focused businesses that provide education, plugins, and consulting services for online business owners. 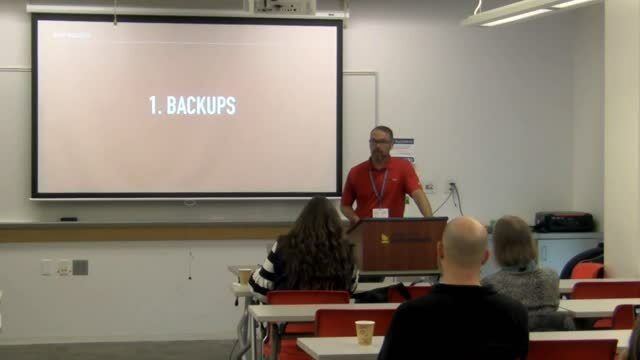 In this session, Adam details his story of creating a sustainable plugin business. He shares actionable advice that audience members can put into practice immediately to grow not only a user-base, but also a customer-base. Adam also explained the techniques, uses to guide free-users to premium product. 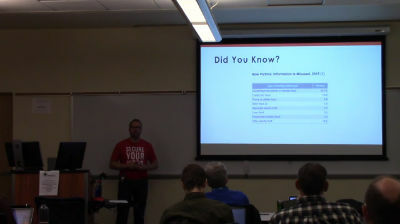 Attendees will learn everything they need to know to create a plugin that people will love, and recommend to others.